"Hi! I’m Jessy Greenland, single mother of 3 from Oklahoma. I am a born and raised okie! I live with my amazing boyfriend David, and my last 2 kids who are fixing to graduate! I have sacrificed a lot in my life for my kids, and as the kids are growing up and moving on in their own lives, I am trying to make my dreams become a reality. I have always loved NASCAR and cars in general. As I got into more of the off-roading scene and Jeeps, I found a new love for off-roading. In the meantime, I have been doing hair for 16 years now and own my own salon. I consider myself a Hair Artist, because I paint hair canvases. I enjoy my career and all my clients so much, that it doesn't feel like a job to me. I have learned so much in the last 3 years and have gone full force into wanting to become an off-road and desert racer. 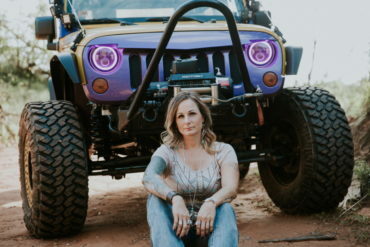 I have, with the help of my boyfriend and friends, continued to build and learn everything I can about my Jeep. I would like to eventually purchase a buggy or rock bouncer as well as an Ultra4 car or pre-runner. I want to get into racing and competing, making it to KOH and get into a racing circuit. I plan on getting into Fab work by starting with welding school and possibly ASE certification. 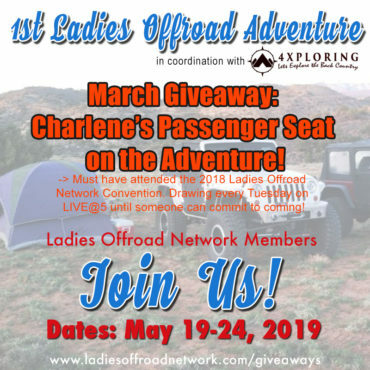 Charlene has helped me so much and I can't wait to continue my journey with Ladies Offroad Network!" A: "Mexican and Italian food." A: "I have 3 kids. Nicole, my oldest, is 24, lives in San Diego with her boyfriend and is a store manager of GameStop. She is working toward her Beauty License with Make-Up Artistry. Amber is 17 and lives with me. She will be graduating high school this year, she is active in Cheerleading. Jordan is my son, he is 16 and plans to go to school for computers and gaming." A: "I love cats!! I only have 1 cat as of this moment named “Beans”. We named him this because he was the smallest, the runt of the litter. I lost 2 of my cats I had for many years last year, I am still heartbroken. I also have a horse named Lil’ Jo. I’m hoping to get some chickens soon!" A: "They are to some degree." A: "Yes! Our group has a cow bell, and we ring it if you have to use your winch to get out of a tough spots or for getting un-stuck. It’s super funny!" A: "Around 2 to 3 times a month." A: "It really got involved for me a few years ago and I fell in love. I’ve always wanted to be a driver of some sort (mostly fast cars), but I love the off-roading world! It was challenging and addictive and the rest is history!" A: "So far, it’s Bridgeport, TX." 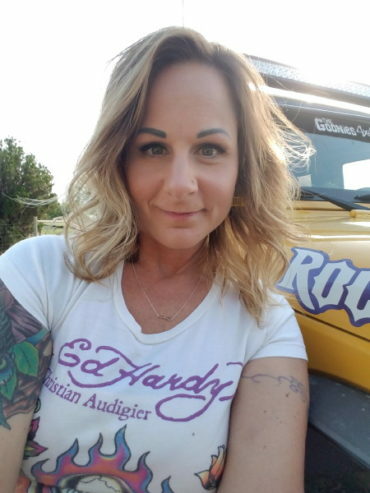 A: "Oklahoma Offroad Chicks and Goonies 4x4." 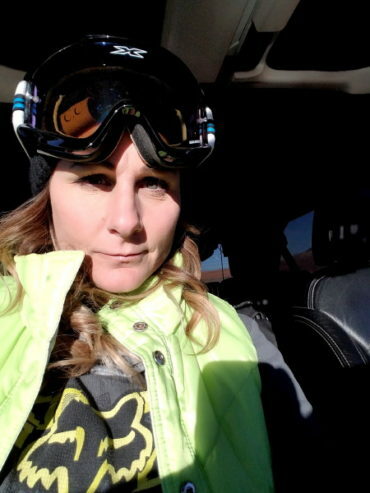 A: "So far: Moab, the Rubicon Trail, the Glamis dunes, Baja, Colorado, and Arizona." A: "I’m very active in a few groups, and it is apart of my everyday life." 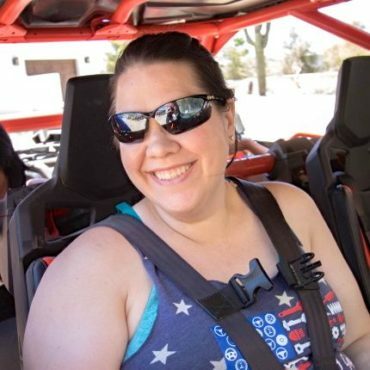 A: "It’s probably the moments I am helping other women gain confidence in their driving skills, and encouraging them to try things they are capable of but are too scared to try." 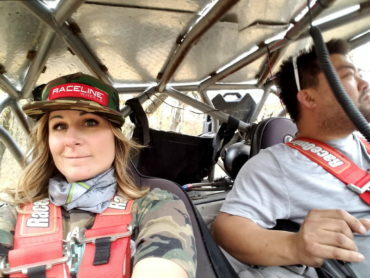 A: "It was at Arbuckle Offroad Park." 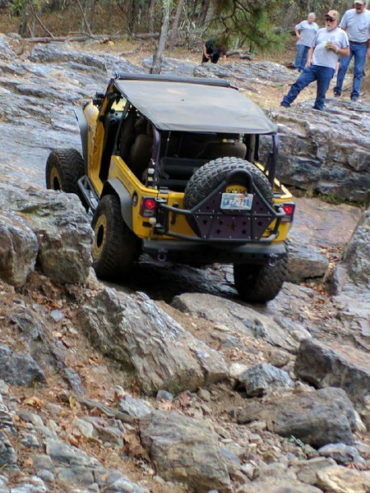 A: "It was in Hot Springs Arkansas at Super Lift Offroad Park (Hot Springs ORV Park)." A: "It was the trip for Fury Rode in Sand Hollow." A: "I look up to Charlene Bower. Charlene empowers women and encourages us to make our dreams a reality. She devotes her time to helping women in the industry better themselves in different ways. She is selfless with her time that she gives to all of us. I am forever grateful to her." A: "I feel that the sky is the limit! 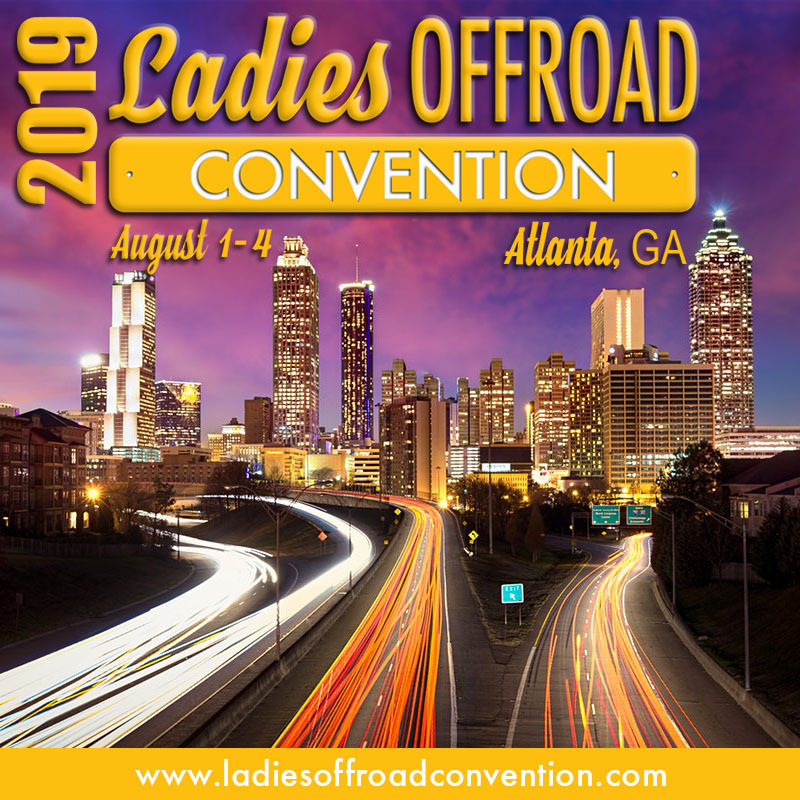 More people are taking notice of the women in the industry, and we can go head to head with anyone and come out on top!" 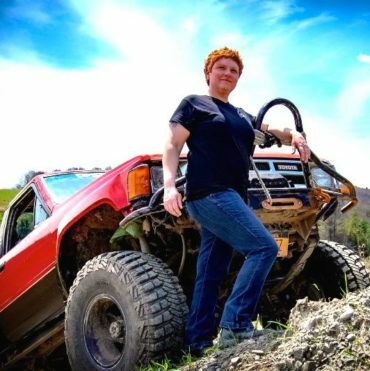 A: "One of my favorites ladies, Sissy, was timid about doing some serious off-roading. She kept sticking to simple trails. 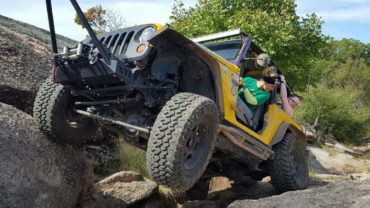 Her Jeep is more than capable and so is she. 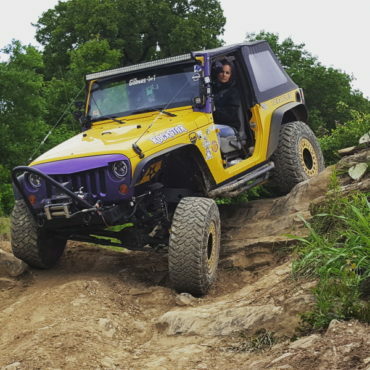 We made a trip to Bridgeport, TX to Northwest OHV Park and my group and I helped her do some pretty gnarly stuff. She was amazing. We had a great moment, and I was so proud that she trusted me enough to show her what she was capable of. We are super close friends now." 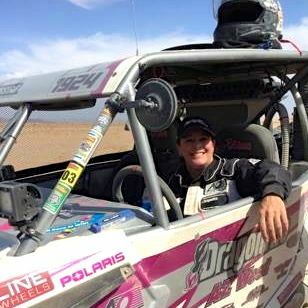 Q: What changes have you noticed in the off-road industry? A: "Mainly that there are a lot more awesome, encouraging, women than I expected!" A: "Do not be afraid to ask for help and guidance! There are a lot of people out there that can and will help you." "It is a 2009 Jeep Wrangler Sport." 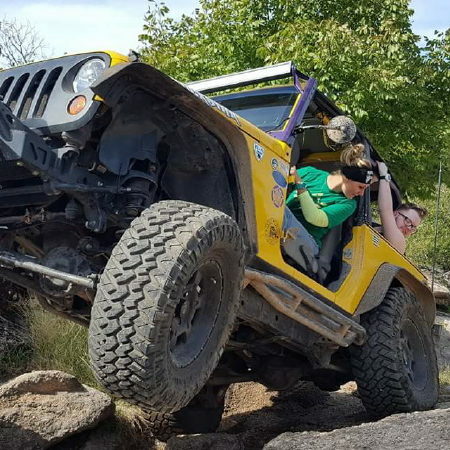 A: "Adding the Rubicon axles and Teraflex longarm suspension"
A: " help as much as I can, but mainly my boyfriend does the work with some friends and the garage I use for major work."